The time has come for transit-oriented development – Peninsula Moves! What’s it like to live in a transit-oriented development? 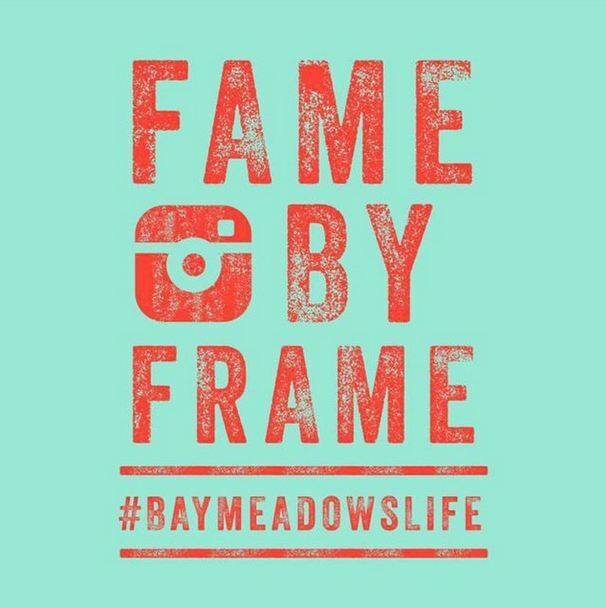 Judging by the entries submitted to Frame by Frame, a year-long photo contest sponsored by Bay Meadows, it’s pretty close to paradise. 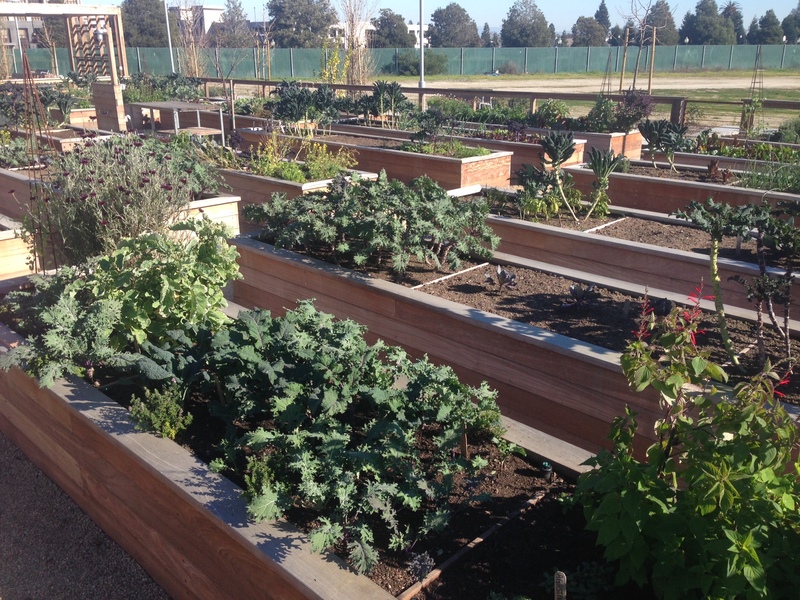 The photos snapped by residents of the development adjacent to the Caltrain Hillsdale Station depict sunny skies, happy kids cavorting in the park and veggies growing in the community garden. The one hundred photos included in the exhibit were selected from more than 1,200 submitted over the course of a year. Guests at a recent pop up party were invited to select their favorite. The winner, by sticker vote, was Jeremie Meyer de Ville’s photo of the mural at the downtown San Mateo station. The painting of a horse and buggy racing a steam train touches on the themes of transportation and progress. The photo of the nearby train station is a fitting winner for the transit-oriented development. City planner-speak for communities clustered around transportation hubs that include a mix of housing, retail and office space, TOD has a new appeal for people looking for a place to call home. With the recovering economy, housing and transportation have once again risen to the top of challenges facing the Bay Area. According to the Association of Bay Area governments, the Bay Area is one of the priciest places to live in the country. In spite of the recent mortgage crisis and a real estate market flooded with foreclosures, most homes in the Bay Area continue to be too expensive for families with average household incomes to afford. Community garden at Bay Meadows. As development has been pushed into neighboring regions, the average number of hours a day people spend in traffic has increased from 68,500 in 1995 to 124,190 in 2004 – up 181 percent. Nearly 20 percent of Bay Area workers commute for 45 minutes or more. ABAG projections indicate that living in the Bay Area will become even more challenging: over the next 25 years, the nine counties in the region are expected to add about 1.6 million new residents, an average of 64,760 new residents a year. Developments like Bay Meadows offer an attractive solution to meet this growing demand. The 83-acre project on the site of a former racetrack will include more than 1,100 housing units, 750,000 square feet of office space, 90,000 square feet of retail space and 18 acres of parks when it is completed in about five years. Located within walking distance of Caltrain and SamTrans, taking public transportation is an easy choice for residents. With shopping, parks and restaurants nearby, there is very little reason to take the car out of the garage. A recent survey of Bay Meadows residents indicated that 25 percent took Caltrain on a weekly basis and 50 percent rode it at least once a month. Residents are encouraged to use the train in the development’s blog and the train schedule is published on the Bay Meadows website. Caltrain also is prominently featured in the development’s marketing materials. Residents Aparna and Vineet Kannan love living in the TOD lifestyle. When they began looking for a home, Aparna said “We told our real estate agent that one of the most important things for us was to be close to public transportation.” The two software engineers were attracted to the development because of its location on the Caltrain corridor mid-way between San Francisco and San Jose. When they first moved to their 3-bedroom, 3-bath home, Vineet worked in Los Gatos and Aparna in San Francisco. Now they both work in The City and the train is still the most convenient to get to work. The couple finds that TOD living offers a number of advantages. Aparna enjoys cooking and the short commute on Caltrain allows her to be home in time to cook dinner. She takes advantage of her commute on the train to check emails and catch up on work. “I don’t have to think about driving or honking.” In addition, because of their proximity to public transportation, they are a one-car family. Bay Meadows also is home to Nueva School. An independent school serving gifted and talented students, Nueva is the first high school to make Caltrain’s Go Pass available to all of its students, staff and faculty. To read more about Nueva, click here. Bay Meadows is not the only TOD on the Caltrain corridor. Caltrain is currently reviewing applications from developers for 2.7 acres next to the Hayward Park station, also in San Mateo. The site is adjacent to a former K-Mart where the City recently approved construction of Station Park Green, which will include 599 residential units, nearly 2 acres of parks and open space, 15,000 square feet of office space and 30,000 square space of retail space at the 12-acre site on the corner of Delaware Street and Concar Drive. The Crossings in Mountain View is across the street from Caltrain’s San Antonio station. Once the location of an auto mall, The Crossings is now a 540-unit neighborhood that includes high density housing, retail shops and a daycare center. Narrow tree-lined streets and sidewalks and small pocket parks all combine to create a walkable, bikeable neighborhood. The close-knit community was awarded the Outstanding Planning Award by the American Planning Association in 2002. In Redwood City, Crossings 900, a large commercial and retail development, is under construction adjacent to the Caltrain station, which also is a major hub for SamTrans bus service. The project, expected to be completed by the end of the year, includes 300,000 square feet of office space, 5,000 square feet of ground floor mixed use and will attract 1,000 new employees to the downtown area. The City of San Carlos recently approved plans to build a Transit Village on approximately six-acres of property between El Camino Real and the San Carlos Caltrain Station. SamTrans, the owner of the property, is leasing the land to the developer. The mixed-used development plan calls for a three-story building that includes 202 rental units, recreational facilities, 25,800 square feet of commercial space and a public plaza. A new Multi-Modal Transit Center adjacent to the train station will provide parking for Caltrain riders as well as dedicated areas for shuttles, buses, and taxis. Construction could begin next year. San Bruno has adopted a development strategy for the area around the new San Bruno Caltrain Station that leverages the location’s proximity to San Francisco International Airport and Silicon Valley. An approximately two-acre vacant site adjacent to the Caltrain station platform is envisioned as the focal point of a major mixed-use office/retail center. TOD is supported by individual city plans as well as strategic plans adopted by both Caltrain and the San Mateo County Transit District. Regionally, the projects are ideal examples of the transit-oriented development included in the Grand Boulevard Initiative, a long-range planning effort to develop El Camino Real into an attractive place to live, work and play. According to Reconnecting America, a national nonprofit organization that advocates for TOD, shifting demographics and the changing real estate market have opened up an unprecedented window of opportunity for this kind of development. TOD is a sustainable and low-cost solution to a host of issues facing the Bay Area.